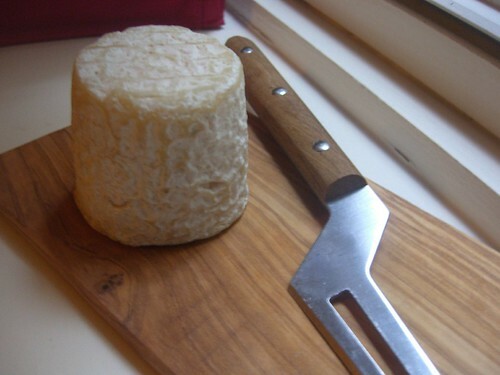 My love of ooey-gooey soft-rind cheeses has already been well-documented. I love Chaource, I love Mt. Tam, I love any cheese that oozes from its soft shell. So why in the world did I not discover Le Chevrot until this week? 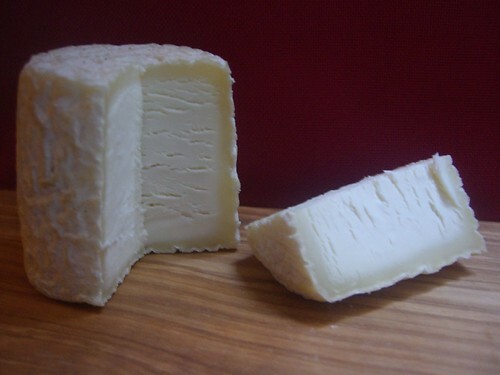 A pasteurized goat’s-milk cheese from France, Le Chevrot is very comparable to Chaource, even though the latter is a cow’s-milk cheese. I found them to be very similar in texture, and the taste, while not identical, wasn’t too far off. Le Chevrot didn’t taste at all like the clean-tasting Loire Valley cheese I sampled last week, but it didn’t have a strong goaty factor, either. 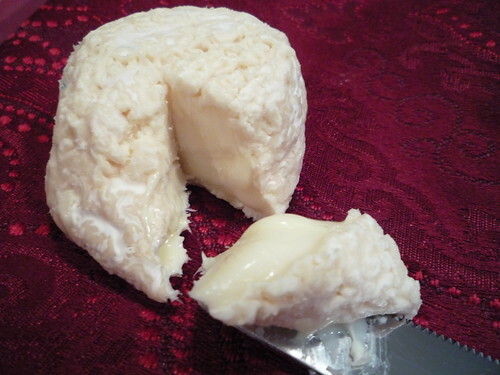 Instead, I got a mouthful of creamy, runny deliciousness that I’ve been missing from my recently reviewed cheeses. Yum. Sauvignon blanc is an oft-mentioned pairing for Le Chevrot, but I think most white wines would be a good match. Even though it doesn’t come from the Champagne region of France, I’d try it with some bubbly, too. 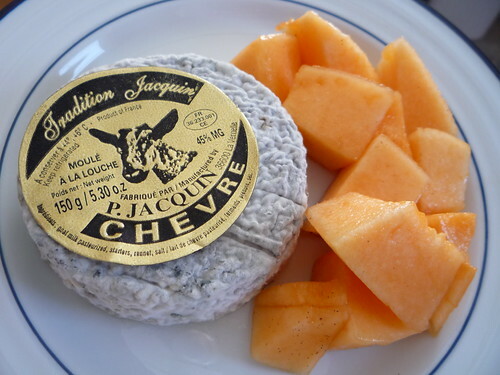 And if you’ll be consuming Le Chevrot yourself, look for the mini variety – I found mine at Surdyk’s – which is only 2.8 oz compared to the usual 6-8 oz. full-size disk. Of course, if you find it to be as delectable as I do, you may need to go for the super-size version. 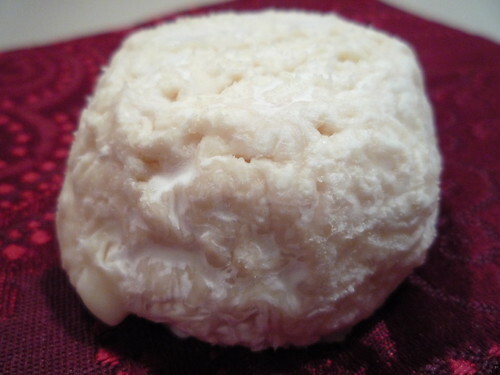 Selles-sur-Cher is a sweet little button of goat cheese made in the heart of France’s Loire Valley. Named for the town from which it originated, this plucky cheese actually bigger than a button (it’s about 3 in. across), but its petite flavor gives it a smaller footprint on your tastebuds. 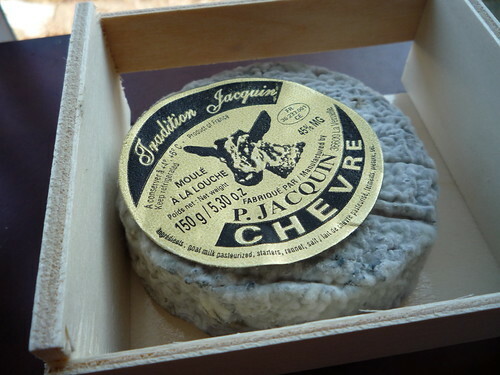 The blueish exterior of Sulles-sur-Cher may turn off French chèvre novices, but rest assured that it’s just a coating of vegetable ash, a common feature among Loire Valley goat’s-milk cheeses. 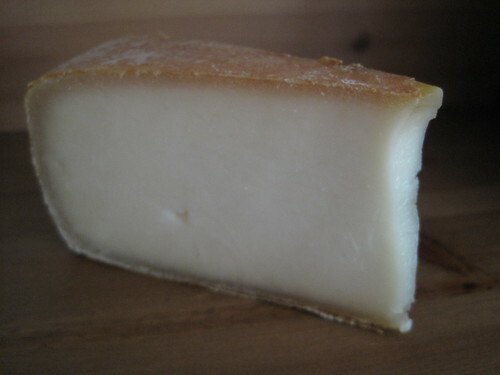 The rind is edible, unless the cheese is aged considerably, but my portion was perfectly young and fresh. 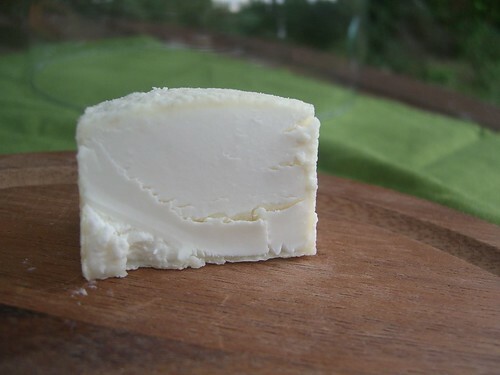 I enjoyed the clean, almost floral taste of Selles-sur-Cher – during a week when the snow is melting and the temperature starts to rise, it seemed to be the ideal cheese for welcoming spring. (Watch, I just jinxed Minnesota – we’ll have a blizzard next week.) You’ll only find pasteurized versions of Selles-sur-Cher in the United States, but my cheesemonger Benjamin at the Cheese Shop at France 44 assured me that it’s still quite tasty. Until I make it back to France, I’ll have to take his word for it. Steven Jenkins recommends serving Selles-sur-Cher with sweet fruits, such as citrus and melon. I sampled mine with some canteloupe and found the pairing to be pleasant, though I also liked just slicing off small wedges while standing at the counter. 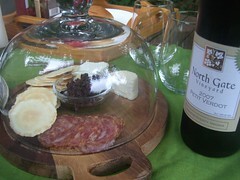 He suggests a white Sancerre for a wine, while Artisanal Cheese recommends Sauvignon Blanc. I could even see a match with a sweeter white, like Muscat, but I haven’t tested that theory yet. Experiment on your own and let us know!